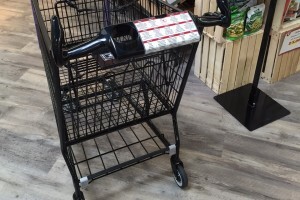 New and refurbished shopping carts featuring innovative designs and a variety of styles and sizes. 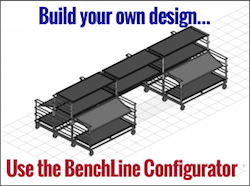 Minimal parts and numerous configurations make this system aesthetically pleasing and functional. Pallet Jacks, Platform Carts, Dunnage Racks, and more for the material handling needs of your business! 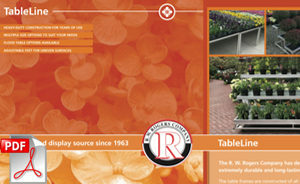 Cart configurations and types to cover the needs of any professional nursery. From universal carts for the meat department and stocking carts for produce, or bakery carts and shelving, we have your equipment. We offer the most innovative designs of grocery shopping carts produced by the leading manufacturer. 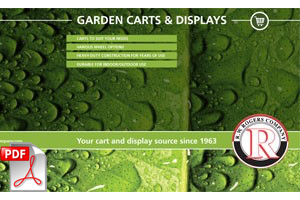 Featuring our BenchLine™ display units plus a variety of garden center cart styles, checkout counters, and floral displays. 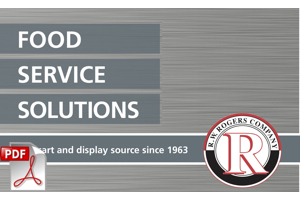 We offer a full line of food service equipment for every department in your store from the receiving dock to the produce section and more. 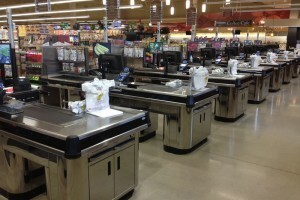 New and reconditioned checkout counters from stainless steel to wood, belted and un-belted with a variety of options. 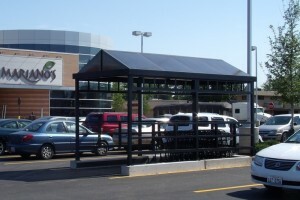 We offer a wide range of shopping cart corrals as well as shelters and canopies for entrances, smoking areas, and transit systems. Save money and get the same performance as new! 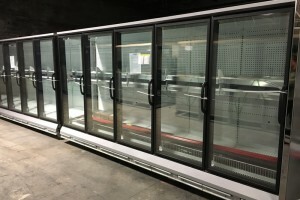 Our remanufactured refrigeration units are available in a wide range of styles and configurations. The R.W. 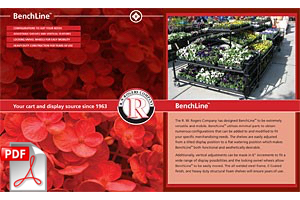 Rogers Company was established in 1963 as an organization dedicated to supplying one primary product to local customers in the Midwest. That product was shopping carts. 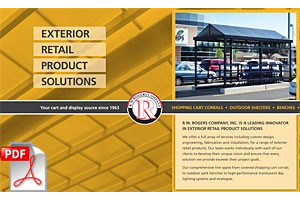 Over the past 45 years our company has grown to providing a full line of store equipment and fixtures to customers nationwide while keeping our Midwest roots intact. 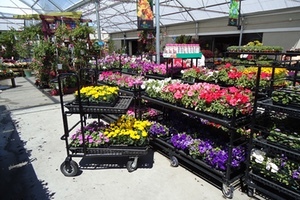 These items include new and used grocery shopping carts, nursery carts, hand baskets, garden wagons and much more! Over the past 12 years our company has expanded from a modest 4,000 square foot warehouse to the present 60,000 square foot facility. 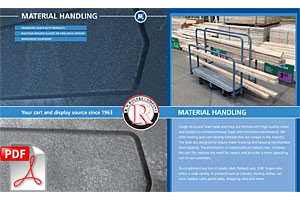 While a major part of our business still includes reconditioning used plastic shopping carts and other equipment and representing various equipment manufacturers, we have made a successful transition into importing and manufacturing a wide range of products ourselves. This transition has been so successful due to our loyal customer base which has become accustomed to the unmatched service that we are so proud to provide. 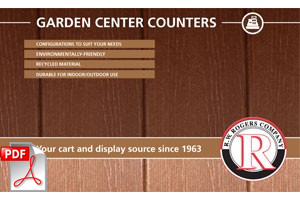 We look forward to another 45 years of success and we hope that we can add you to our ever-growing list of satisfied customers.